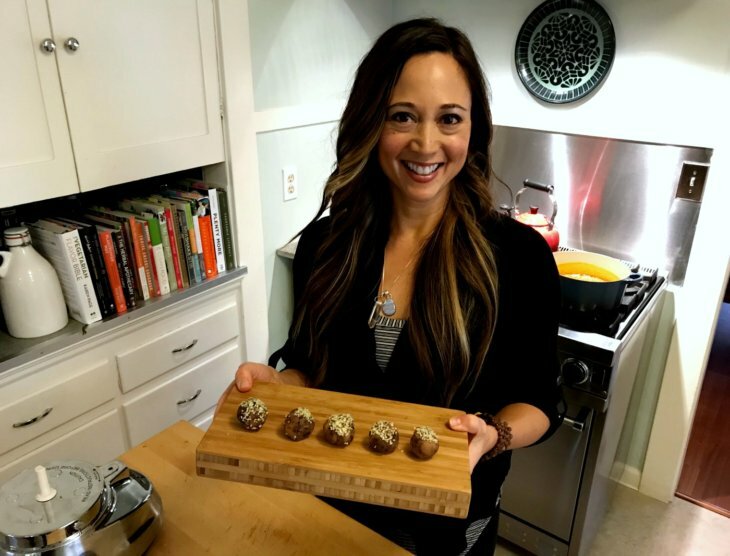 High Protein Almond Butter Energy Bites... with Chickpeas! A lot of store-bought snacks just aren’t that healthy. They may be marketed as “whole grain” or “high protein,” but when you start looking at the ingredient list, you might see a whole lot of ingredients that are either unrecognizable as real food, or are downright unhealthy (additives, gums, starches, “natural” flavorings, high tech sweeteners, etc.). When it comes to snacks, I love making energy bites. They’re super family-friendly — who doesn’t love chocolate chips and almond butter? — and they’re highly portable. After you make a batch, you can just store them in the freezer until you’re ready to enjoy them. Just let them thaw out a few minutes before you eat them. These energy bites are loaded with protein from the almond butter, as well as our super sneaky ingredient: chickpeas, a.k.a. garbanzo beans. Chickpeas also contain a fair amount of fiber, which can help reduce high blood cholesterol, and support healthy digestive function. This recipe is inspired by the peanut butter energy balls on Pulses.org. 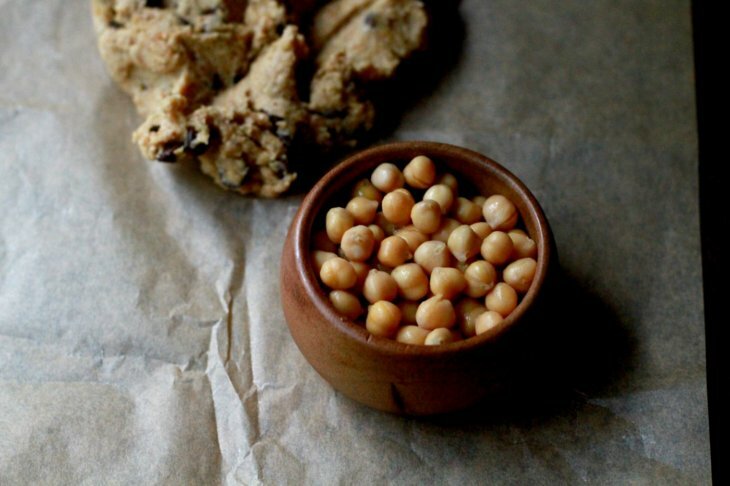 Combine the chickpeas, the 1/2 cup of almond butter and the maple syrup in a food processor. Process for 1 minute or until very smooth. Pause to scrape down the sides of the bowl if necessary. Add the vanilla extract, sea salt, flax seed, and the rolled oats. Then, pulse to form a dough until it resembles a stiff cookie dough. If it’s crumbly, add a little more almond butter; if it’s too sticky, add a little more rolled oats. Taste, and add salt as needed. Scrape the dough into a bowl and add the mini-chocolate chips. Stir with a wooden spoon until evenly distributed. Note: you could try doing this all in the food processor, but I find that this pulverizes the chocolate chips until they're little flecks — which kind of defeats the purpose of using chocolate chips in the first place. Wrap the dough in plastic wrap or transfer to a container and cover; refrigerate for 1 to 2 hours, until firm and well chilled. Remove dough from the refrigerator. Use a 1-tablespoon measure to scoop 32 portions of dough, then roll between your palms to form small balls. If desired, you can also roll the formed balls in some hemp seed for extra protein and healthy fats. Place onto a tray in a single layer, and freeze for a few hours. Once frozen, you can store the energy bites in a plastic bag or container until ready to serve. Before eating, let the energy bites thaw out for a few minutes.